On July 2, the WAC’s Deena Ladd was on CBC radio’s Ontario Today phone-in show to talk about decent work and how the government’s labour law review could help us get there. Workers and concerned individuals from across Ontario phoned in to share their stories of bad jobs, and talk about what they think needs to change. If you missed it live, you can listen to the discussion here, What’s wrong with Ontario’s employment standards legislation. Didn’t get a chance to call in? 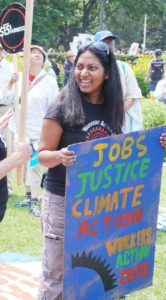 Let the government know what you think about jobs in Ontario and how the laws need to change. Email Minister of Labour Kevin Flynn, or tweet him @OntMinLabour @MPPKevinFlynn. Tell him it’s #time4decentwork in Ontario, and ask your friends, family, co-workers, and neighbours to do the same. 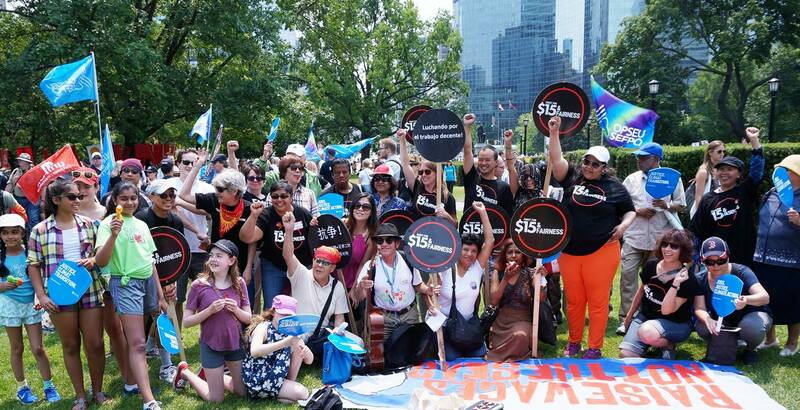 On July 5, the Workers’ Action Centre joined the Fight for $15 & Fairness contingent of the March for Jobs, Justice, & the Climate.